I do not know how to adjust my photos - so this is winter sun straight out of the sky! I have certainly had my 30p worth of fun! Last year I couldn't find the tinsely string so had to make do with ordinaire...not quite the same but I did a 'double cross over' to make up for it!! Are you lanterned out now!!! If Blogger permits I will try and upload another series of photographs that demonstrate the 'changing of the tablecloths' that takes place on Christmas day. Well - if you can't show them off at Christmas time when can you!!! I will add in here that when we moved in to this house the dining room was possibly the worst room of all - years before the house had been used as bedsits and this room had silver wallpaper and grey shag pile - it was grim. However, given its past life, all the original bits and bobs were still there - no one had bothered to remove them. Every room still has its original fireplace (complete with soot) - one day I will sort the chimney out in this room and light a fire in here too! 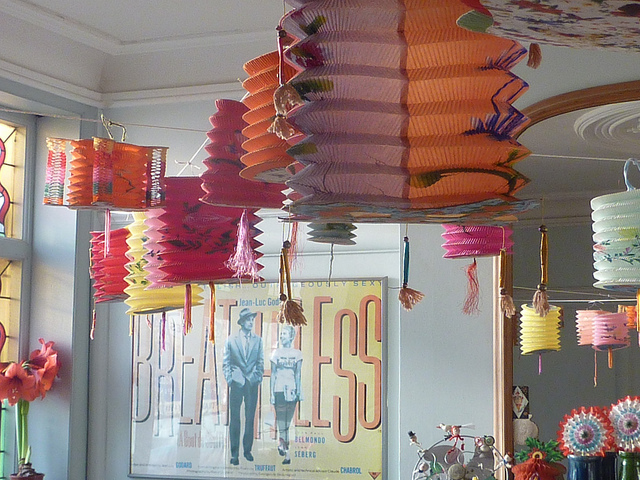 What a lovely light room.The underside of the lanterns are really pretty, what a great find! I do like a good rifle through a jumble! 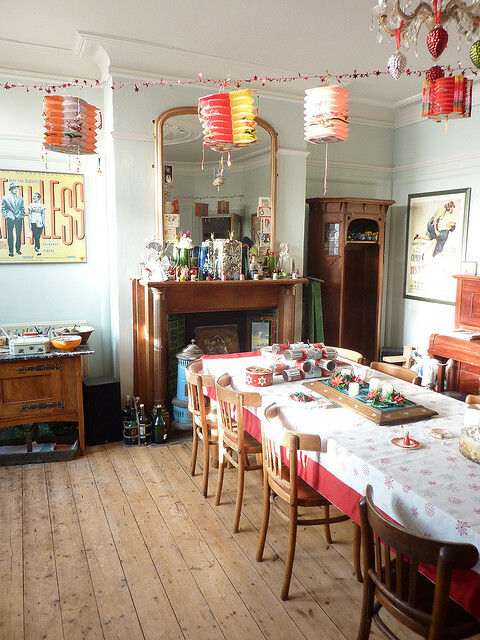 Hi Jenny,your Christmas dining room is sooo lovely,the chocolate log looks yummy1Warm regards Pam. P.S what happened to the piano?Pam. 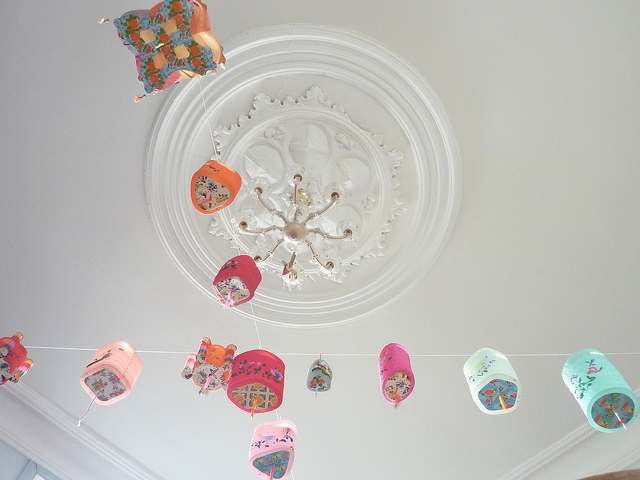 Marvellous lanterns Jenny. I can't believe you found them so cheaply at a church bazaar, right time, right place. It looks absolutely wonderful, Jenny. Your home is beautiful, so lucky all those original features were still intact, and the gorgeous decorations are the icing on the cake. 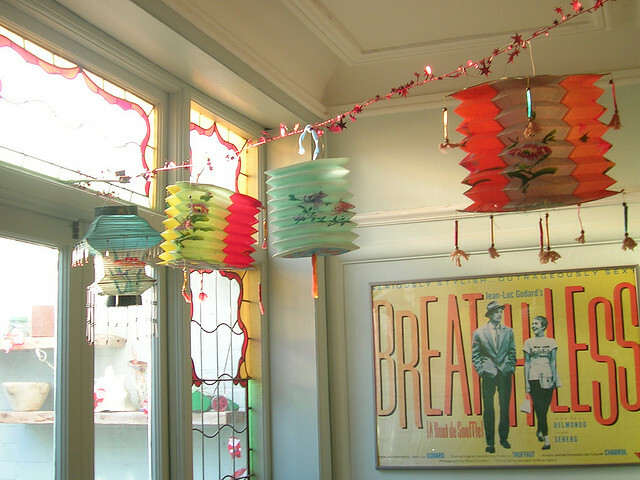 You have such a beautiful, light filled dining room and the paper lanterns make it so festive! LOVE it! 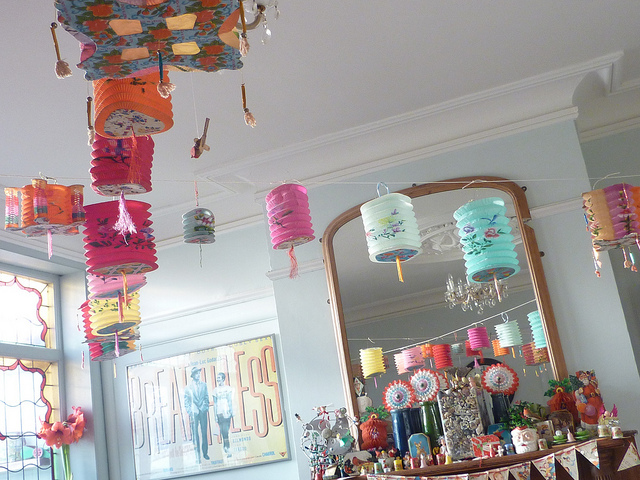 What a lovely room, I just love those lanterns! What a beautiful room, I can't believe it was once as you describe! Those lanterns must be one of your top bargains. Your room is gorgeous and the lanterns only add to that beauty. Such a lovely space to live and laugh in. Very festive, they are great no wonder you love them. 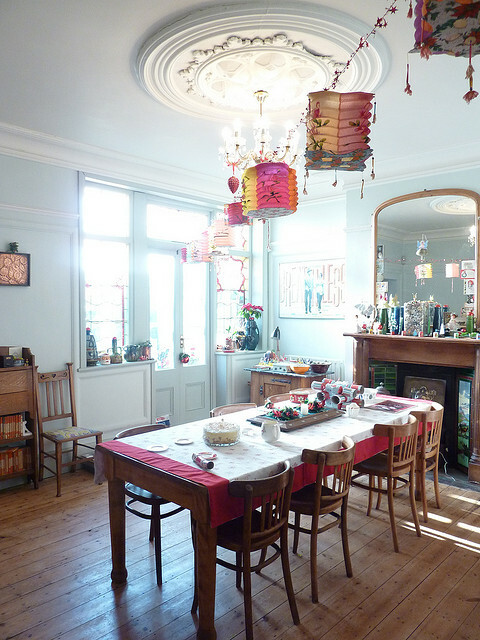 Lanterns are so unusual a Christmas idea but the perfect idea at the same time! I love them, and even better that they were such a bargain. We are quite 'Magic' us Mums aren't we just!! hehe..
Sending greetings of the season, Jenny. Oooh, that is simply gorgeous! Can I come for Christmas in your house!!!? I came, I saw, I coveted your lanterns. Lovely to meet you today at my shop. Remember to post a pic of the purses you plan to make with the piece of nursery fabric you bought from me today. Joyeux Noel a tous and hope to see you again in the New Year. Catherine at http://www.hepwrights.com in Southampton. 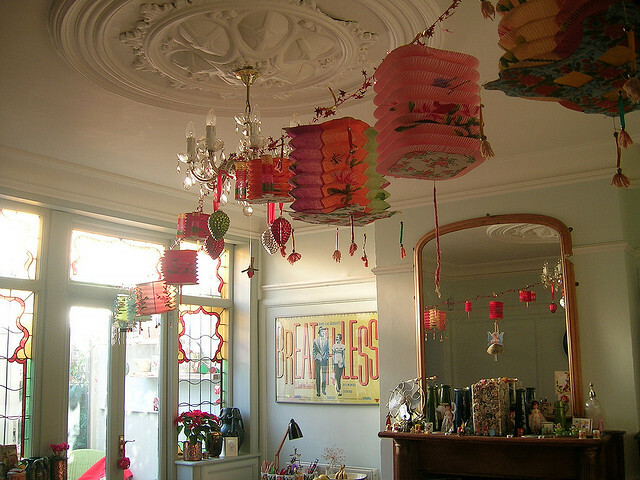 It all looks wonderful ... the lanterns are glorious. Belt and braces...have left a very secret message on my post. I've tried a million times to comment on your blog (positively!) Can't get it to work as my Typepad ID thing won't work. I will try this again, but it is enormously frustrating! Anyway best regards, I love your blog.